After many months of rumors, HTC has today officially launched the largest phone made by them until now, One Max being the version with a 5.9″ screen of the popular One, which debuted earlier this year. As we already know from previous unofficial photos, HTC One Max is a large version of the One Model, but it takes rather the Mini design version because its housing has a protruding edge of plastic, not cut as the original model. 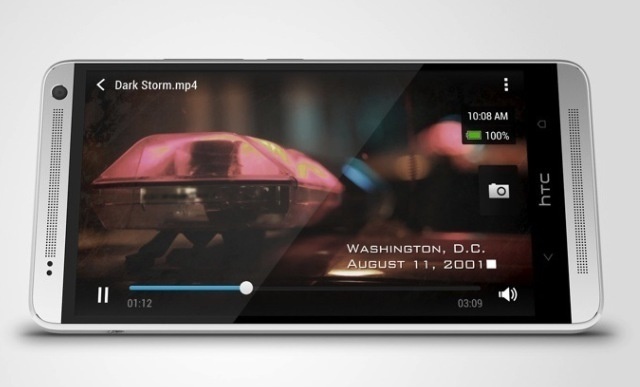 The screen, which has a diagonal of 5.9″ IPS panel features a Full HD diagonal. Unlike in One and One Mini, the new phone back cover can be detached and hide a MicroSD slot in it, but the battery with a capacity of 3300 mAh can not be removed. Because of the large size and omnipresent aluminum, HTC One Max has a huge weight of 217 grams, its parameters are: 164.5 x 82.5 x 10.3 mm. 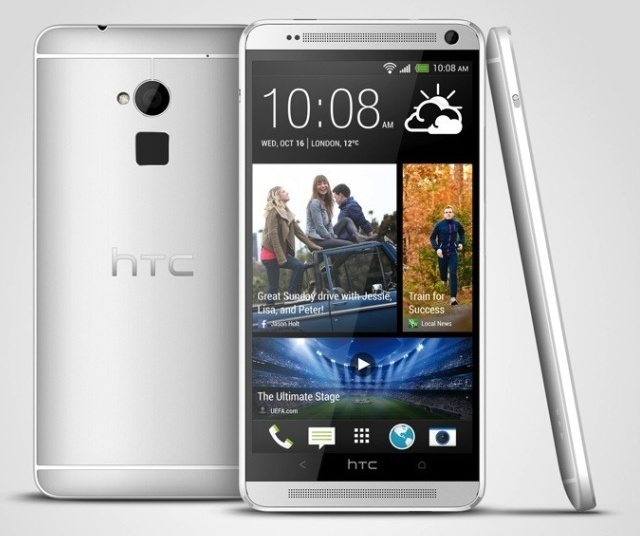 Perhaps the biggest surprise, and an uncomfortable one, is the chosen HTC processor. Instead of the powerful Qualcomm Snapdragon 800, adopted by all top models recently launched, HTC One Max uses a Snapdragon 600 model as the original One. Beyond quad-core processor clocked at 1.7 Ghz Krait 300 and Adreno 320 graphics core, hardware configuration also provides 2 GB of RAM, 16 or 32 GB internal memory, Wireless 802.11 a/b/g/n/ac, LTE connectivity and infrared module on the original One. As we already know, HTC One Max includes a biometric fingerprint sensor. Unlike capacitive model implemented by Apple on the iPhone 5S, this is one standard that requires walking thhe finger on photosensitive surface. The sensor comes with software that allows launching different applications immediately after login. Like previous One models, the new HTC product offers a camera that uses the same 4 MP sensor with large pixels, it does not cover, as One Mini, an optical stabilizer. Its front partner has a resolution of 2.1 MP. Media facilities are completed as expected, by BoomSound stereo system, as the label Beats Audio is gone. HTC Max One is running on Android 4.3 over which was installed the 5.5 update of the Sense interface. The phone will be available in Europe from the end of this week, but the price was not disclosed yet.